You’ve finally made the decision to build the deck of your dreams —but will it fall within your budget? With the proper research and a professional deck contractor, like Quaker State Construction, you will soon be able to realize the dream of having a backyard oasis of serenity. In western Pennsylvania, from early Spring to late Fall, many hours can be enjoyed relaxing on your deck or entertaining guests, as the beautiful changes in nature provide a stunning backdrop. There is no doubt that deck additions are a great outdoor enhancement to any home, but they can be quite costly. If you don’t want to break the bank in building one, consider the following ways to stay within your budget. 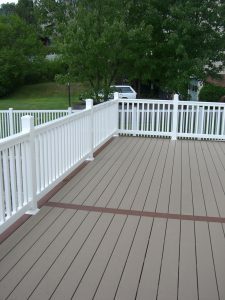 Hire a Reputable Deck Contractor: Whether you are replacing an older deck or building a new one, it is a wise decision to hire a professional deck company. A truly reputable one will walk you through the process to ensure your investment is a good one and will guide you towards adding value to your home. Quaker State Construction, located in Carnegie, PA, has been offering quality expertise in deck construction in Pittsburgh and the surrounding area for more than 55 years. As specialists in deck building, Quaker State Construction ensures that functionality, deck size, decking materials, deck accessories, warranties and building permits are all considered prior to building. Hiring Quaker State Construction saves you time and money. Deck Design: When it comes to choosing designs for your deck, avoid ones with curves, intricate details and shapes that require special boards. Obviously, the simpler the design, the lower the cost. This doesn’t mean you have to sacrifice all of your creative and unique designs. It just means you will need to be educated on best decking materials (type and size) to meet your needs, wants and budget. Additionally, during this stage, you will want to determine any needs for electrical work and plumbing, which will add to the cost. Type of Wood: One of the most sought after woods for high-end builders is Brazillian Ipe wood, but this doesn’t mean that the myriad of “secondary” woods out there will not look just as nice or last just as long. By hiring a deck contractor, they can assist you in choosing the best type of wood for your deck design, the climate and your budget. They can also alert you to wholesale deals, closeouts and other cost savings. Board Lengths: In building a new deck, some homeowners believe that the longer the board, the better the quality. This is not always true, plus the longer boards have a premium price. Opting for shorter boards provides more stability and less chance for the boards to bow. Most decking materials are milled in lengths of 8, 12, and 16 feet. Matching board lengths to availability will save you time and money. Build in the Offseason: Many homeowners decide to build their deck when the weather becomes warmer. Unfortunately, this is the most expensive time because the demand for deck builders is so high. Some contractors offer reduced rates if you schedule your deck installation during their offseason. In Pittsburgh, building a deck between November and March will most likely offer you savings. Regular Maintenance: To save you money after your deck has been installed, be sure you regularly maintain it. There are many different types of wood that fare better in different climates and require little maintenance. Your deck building specialist can educate you on prolonging the life of your investment. Quaker State Construction prides itself on using quality materials from the industry leaders in home improvement and construction materials. 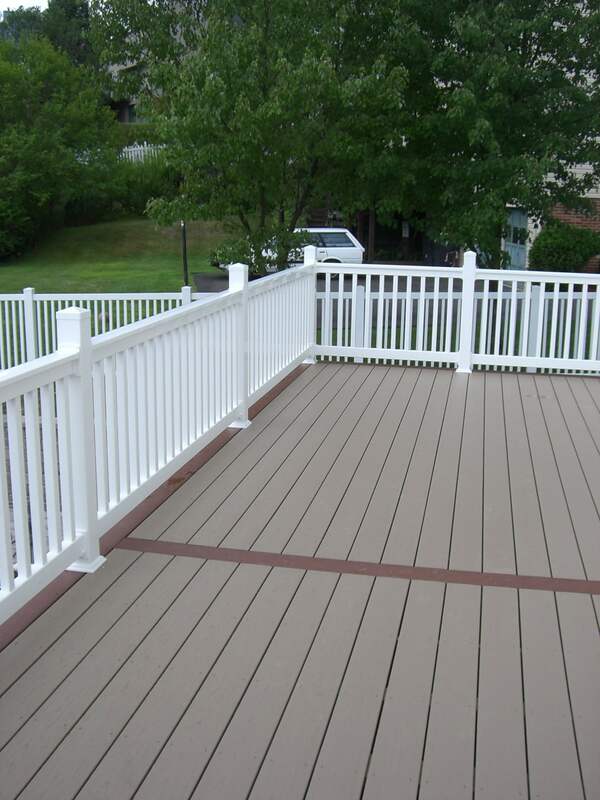 Our knowledgeable contractors and helpful staff, along with decades of design experience, provide customers with the most effective way to build the deck of their dreams. For more information, please call 800-262-DECK or visit us online. Our success depends on your satisfaction. We work with you every step of the way.